Hey, I wrote up a short post about maybe exhibiting at Rose City Comic Con later this year, and your input would be invaluable and greatly appreciated! This entry was posted on Wednesday, April 15th, 2015 at 12:00 am and is filed under Comics. You can follow any responses to this entry through the RSS 2.0 feed. Both comments and pings are currently closed. But the alligators (Or crocodiles, I can’t tell) are adorable! 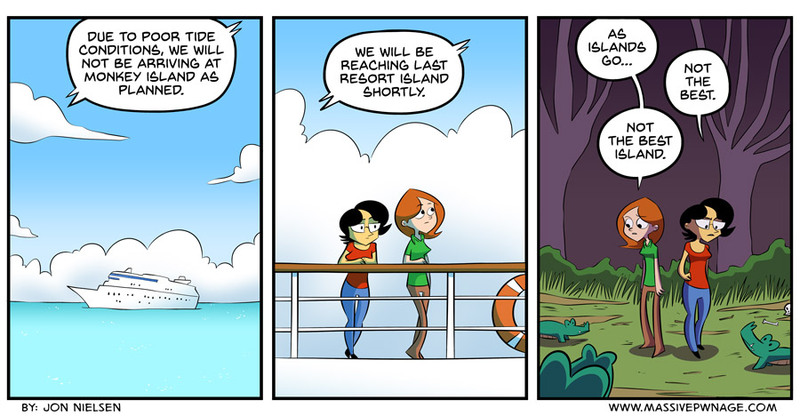 Maybe you should’ve taken a trip to Destiny Islands instead.